Logos Bible Fellowship is a ministry of co-workers. The goal of LBF is to be a group of people committed to knowing God and becoming more like the Lord Jesus Christ by growing in the knowledge of His Word and applying it to our lives through study, prayer, sharing, accountability, outreach, and fellowship together. Logos Bible study takes place from 12:00 – 1:00 every Thursday. Over lunch, we discuss Bible passages, doctrines, topics, etc. Emphasis is placed on the essential and foundational elements of the Christian faith such as salvation by faith alone and godly living. Although group meetings are focused, the atmosphere is comfortable and relaxed. Every fourth week, we focus on prayer, testimonies, and fellowship. 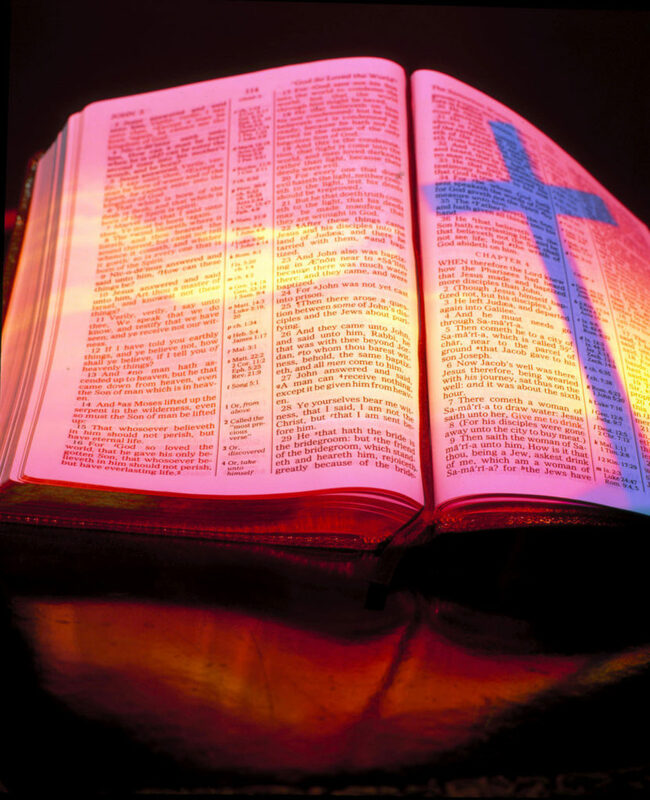 1.The canonical books (66 total) of the Old and New Testaments as originally given are divinely inspired, infallible, inerrant, and sufficient for all things pertaining to life and godliness. They are the Divine and final authority for Christian faith and life. 2. The Triune Godhead exists in One Eternal, Transcendent, Omnipotent, personal God, manifested in three Persons: Father, Son, and Holy Spirit. God created the universe from nothing and He sovereignly rules over His creation. 3. Man is a physical and spiritual being who is created in God’s image. Because of his sin and transgression, man has lost his fellowship with God. The extent of sin is great and it effects are seen today and will continue until the consummation of all things by Christ (see point 8). 4. The Lord Jesus Christ is both perfect, sinless humanity and absolute, full deity. Both facets of His nature have been united in one divine/human Person since His unique incarnation by miraculous virgin conception and birth. 5. The sacrifice of the Lord Jesus Christ for the sin of the world has a substitutionary and redemptive nature. It was accomplished through His literal physical death, burial, and bodily resurrection followed by His ascension into Heaven. 6. Personal salvation from the eternal penalty of sin is provided exclusively by the grace of God on the basis of the atoning death and resurrection of the Lord Jesus Christ, and is received only through individual faith in His Person and redemptive work on the cross. 7. Genuine salvation is followed with a life characterized by the empowering grace of the Holy Spirit, giving evidence in loving service and adherence to the principles and practices of the Christian Faith as set forth in the New Testament. These good works and acts of obedience, including water baptism and the Lord’s Supper, are to be regarded as results of following salvation, not to be regarded as rather than means of salvation. 8. The Lord Jesus Christ will return to the earth in bodily form to judge and establish His eternal kingdom and to consummate and fulfill all His purposes, the works of creation, and redemption, with eternal reward for believers in a literal heaven and eternal punishments for the unsaved in a literal hell.